This year, like many other years, we grew cabbage in our garden. Cabbages are fairly simple to grow, and this year we ended up with nearly a dozen of them. 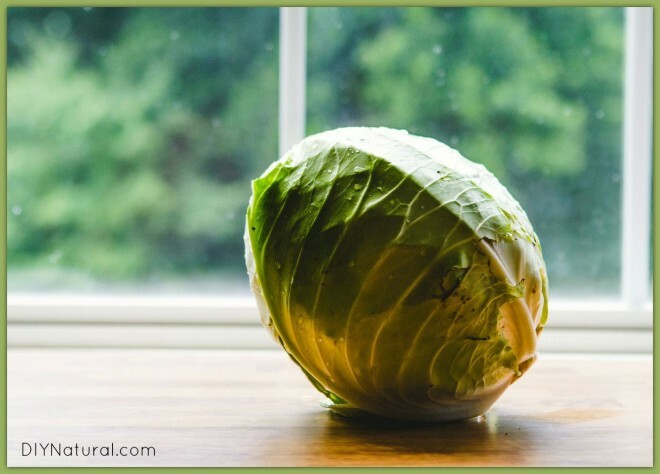 And while cabbage is easy to grow, it isn’t always so easy to incorporate into our diet. I know there are several good ways to prepare cabbage (my grandmother always makes it into her famous slaw), but the way we feel we get the most out of it is to turn it into sauerkraut. Cabbage is good for you, no doubt, but when it’s fermented, in many ways it becomes even healthier. For a food that is traditionally used as little more than a hot dog topping, sauerkraut has some pretty amazing health benefits. Sauerkraut is full of probiotics. We know that our intestines are full of beneficial bacteria, and taking supplements or eating certain foods (often fermented foods, such as sauerkraut) that are known to be high in probiotics can help digestion. Probiotic foods are especially helpful during and after antibiotic use, when many good bacteria are killed. Sauerkraut contains isothiocyanate compounds to help fight cancer. Isothiocyanate compounds are known to “reduce activation of carcinogens and increase their detoxification.” (source, source) Diets high in sauerkraut have even been linked to lower cancer rates, though more research needs to be done to prove anything conclusively. Whether you’ve gotten your cabbages from your garden or bought them elsewhere, you’ll need to give them a good cleaning. Go ahead and make sure your crock is very clean too, since your food will be sitting in it for the next several weeks. 4. When a noticeable amount of juice has come out of the cabbage, remove the plate and add another layer of cabbage. 5. Repeat the process until you are finished, but be careful not to get the crock too full. When you’re finished making your sauerkraut, you will need to cover it. Place the plate over it, then weigh the plate down with a heavy object. We usually use a container of water, but anything that is clean and heavy enough to hold the plate down will work. Finally, cover your crock with a pillowcase or another clean cloth. Sauerkraut needs access to air to ferment properly, but it also needs to be protected from insects and other contaminants. Check on your sauerkraut every few days. A film will come to the top and it will need to be skimmed off periodically. Sauerkraut takes approximately three weeks to ferment. When it’s finished, scoop it out of the crock and store it in mason jars in the refrigerator. 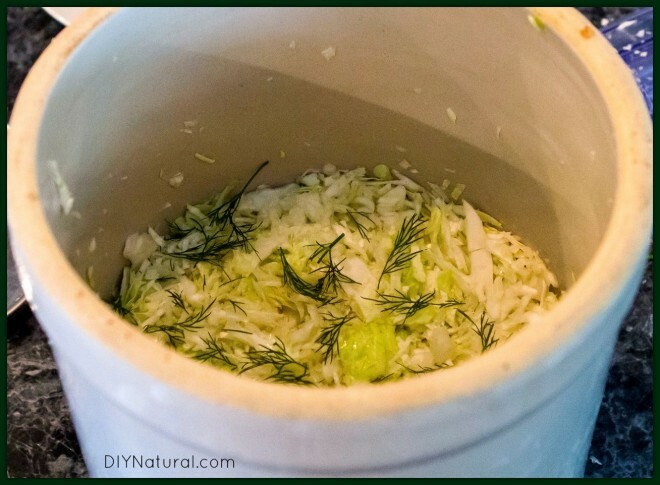 Refrigerated sauerkraut should keep for several months. What are your favorite ways to eat sauerkraut? Do you eat it with other foods or by itself? Share below in the comments section! 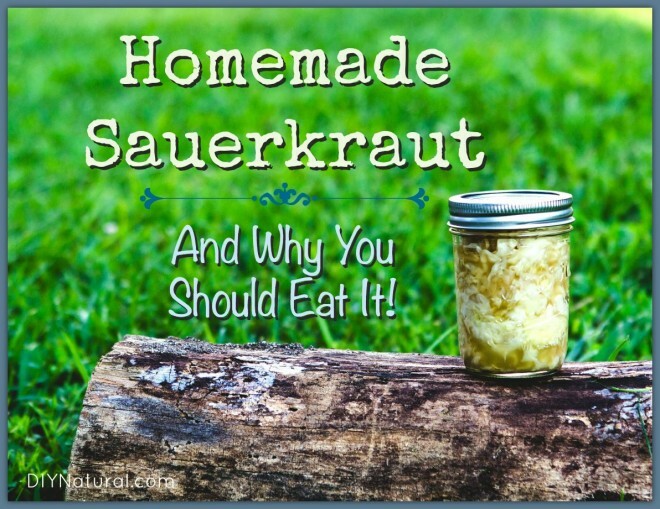 i have made my kraut for years in 4 gallon plastic buckets with lids. 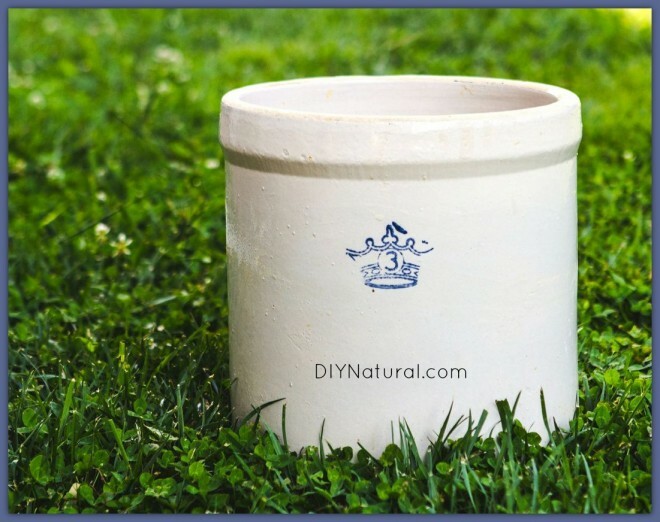 do everything the same as directed here but use the plastic bucket and lid this is great if you don’t want your house smelling like a kraut factory. i also ferment for 6-12 weeks and love the added flavor. I also use food-grade plastic buckets with a rubber gasket seal (available free at many supermarkets) and add an air lock gizmo and gasket available at wine-making shops. This allows for a clean anaerobic environment. I too go for a 6-12 week fermentation in a COOL place. So can I make a much smaller batch? So as not have it all in the fridge and taking up space……….or how do we do it so we can put it on the shelf. How large of heads of cabbage did you use? The ones at our farmers’ markets vary greatly. I love sauerkraut. I’ve always made mine right in the jars. After the fermenting is done I keep it in the fridge although if space is a concern it can be canned easily. My grandparents made and shared about 40 quarts each year. One difference; Grmma canned it in mason jars in a huge pot on the stove. It turned out softer and with a sweet, mild flavour. Have you any instructions on canning kraut? Yes you can preserve your sauerkraut in jars. I can about 24 quarts a year and they turn out great! After fermentation; bring sauerkraut to a simmer (180F) in a large saucepot. Do not boil. Pack hot sauerkraut into hot jars, leaving 1/2- inch headspace. Ladle hot liquid ( brine 1 1/2 tablespoons salt to 1 quart water if needed) over sauerkraut leaving 1/2- inch headspace. I usually have ample hot liquid from the simmering. Remove air bubbles. Process pints 15 minutes, quarts 20 minutes in a boiling -water canner. Now you have dead, processed food! Would you use the same process for collard kraut? Sauerkraut slaw is absolutely fablulous. Make it the same way as regular. 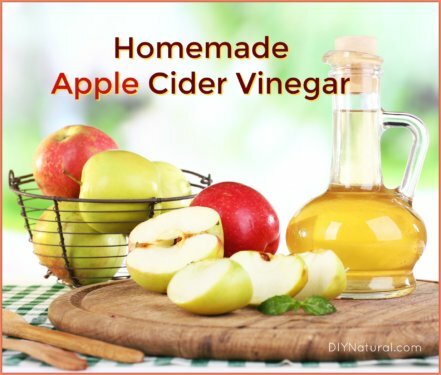 Dressing is vinegar and sugar, boiled, cooled. Chill overnight. You are awesome to teach people how to do it. In our crazy world young people have no idea how to prepare healthy food. I have grown up on home made sauerkraut. Dad made it every year and now I do too. I just made 60 lbs, I put it in freezer bags to store. I believe that freezing keeps it alive. It sure is yum, next time I will have to try the dill. From the research I’ve done, I do believe that freezing sauerkraut will kill at least some of the good bacteria. I can’t find anything that is 100% conclusive, but I try to err on the side of caution 🙂 Of course, with 60 lbs of it, you’d have to do something to make sure it keeps for a long time, so I can see how that’s your best option! browned, I add an onion, and several cans of a good sauerkraut. Silverfloss was always a favorite of my mothers. Now you can get it in bags in the refrigerator section of your grocery store. Probably a better choice than the cans. I add a little pepper, cover the pot and cook, gently for several hours, until the pork falls off the bones. A large bowl of mashed potatoes goes very well with this dish. Those are a treat, but a must with “Saurekraut and Pork”. ENJOY!!! I love pork and sayerkraut too! Once you’ve tasted homemade kraut, you’ll never buy store-bought again… Flavor, texture (crunch! 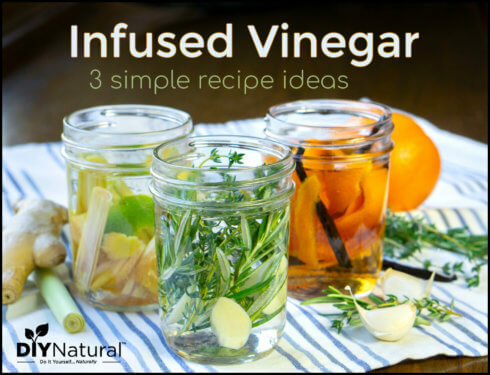 ), live pro-biotics (pasteurized = dead) and so easy and inexpensive to make! If you do use home-made, cook half the kraut with the pork (for that yummy caramelization) but add the second half at the end to just warm through… This way you will be getting some of the live cultures that haven’t been destroyed by heat. Great article, beautiful photos and great health info. Thanks! I did find 2 things I’d like to correct. Fermentation is anaerobic and doesn’t need air; that’s why it HAS to be submerged in the brine, weighted down. I make mine, also weigheed down, in 5 gal food-grade poly buckets with rubber gasketed lids and a water/air lock (beer and wine making supplier). Secondly, fermentation time greatly depends on temperature and cabbage. Cooler the temp requires longer fermentation, and, I think, better flavor. In a cool basement it can take 6-8 weeks or more. And hot summer kitchens can ferment kraut in as little as 4 days. 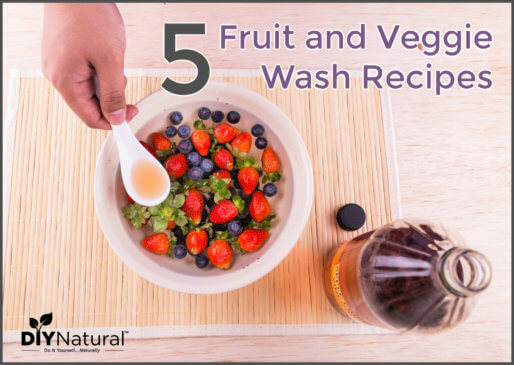 If you wash your cabbage too diligently with chlorinated tap water, or if you use conventional cabbage that was sprayed with pesticides, the needed natural micro-organisms (yeasts) are gone. I use only organic cabbage and add a little whey to kickstart fermentation. You need lactobacillus, so I drain a quart of plain yoghurt through a clean cloth (no fragrances or dryer sheets!) to yield Greek style yoghurt and whey, the clear yellowish liquid. Win-win! Thanks for all that extra information, Jeff!